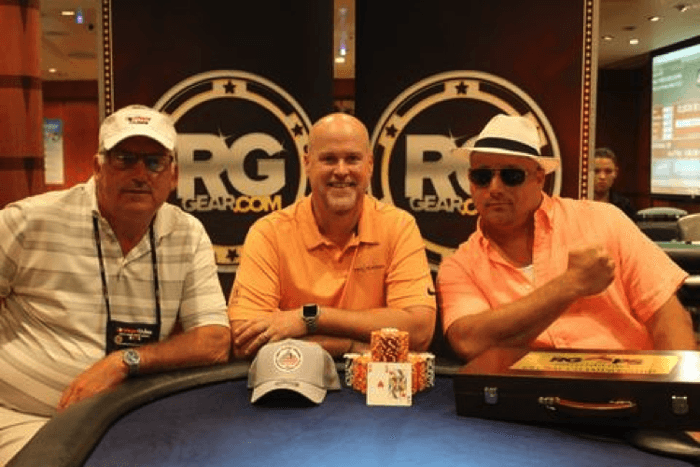 Sparks won $21,417 after a three-way chop with John Heckenkamp & Tim Krisher aboard the @RGPokerSeries cruise. 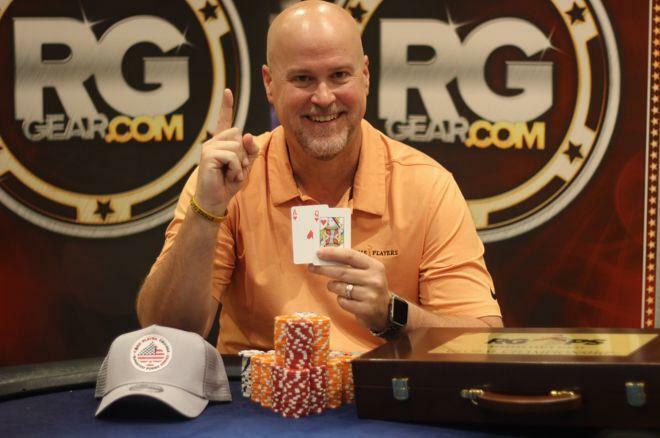 Shawn Sparks is the winner of the first-ever RunGood Poker Series Global Championship, taking down the $675 buy-in Main Event during the 7-night Western Caribbean Cruise aboard the Royal Caribbean Liberty of the Seas vessel. Sparks bested a field of 159 players who had three starting flights to qualify for Day 2. The final table resumed Saturday with Sparks leading the final seven players, and the tournament went almost two whole levels before the first elimination. After Lauren Bunch doubled twice in a row, Cash Carpenter doubled as well but eventually fell in seventh place — getting pocket tens in against Heckenkamp's aces. Down to six, Sparks won a massive pot and knocked out two players when he was the third person all in against Eric Bunch and Shane Fuller. Sparks hit a queen on the river to win the pot and eliminate both Bunch and Fuller and regain the chip lead four-handed. Sparks managed to earn himself the official win once Lauren Bunch was eliminated in fourth place. Sparks, Tim Krisher and John Heckenkamp found themselves with fairly even stacks and decided to chop three ways, but threw Sparks a little more for holding the chip lead. Sparks takes home $21,417 and the specially-made RunGood chip set and case, while Heckenkamp and Krisher each take home $20,416. That's a wrap for the tournament poker portion of the RGPS Global Championship cruise, but the party went on as the RunGood Crew continued to celebrate a successful season. You can follow the fun on Twitter and make sure you join us for our next cruise with a date to be determined. 888poker XL Inferno: Get Ready for the $1,000,000 GTD Main Event!